YOUR #1 CHOICE FOR DISHWASHER REPAIR! 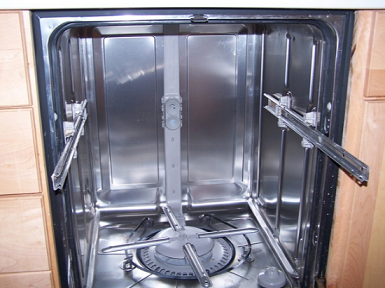 Need a reliable Dishwasher Repair Company in Bristol? If you hate doing dishes then dishwashers are probably one of your top favorite appliances of all time. Isn't it a great feeling to know that when you cook an enormous dinner for your family, you won't have to wash a mountain of dishes afterwards? All you have to do is rinse off the dishes, and load them into the racks, and the dishwasher will take care of all of the scrubbing for you. This is such an excellent invention, and no household should be without a dishwasher. Sometimes we take our dishwashers for granted. We become so used to using them that when it comes time to do the dishes ourselves, or when our dishwasher breaks down, we have trouble adjusting. For many of us, dishwashers are more than just a convenience factor. They are actually a way to save money. If you have ever spent a significant amount of money on getting your nails done, as many women do regularly, you will know that the last thing you want to do is put your hands in some dirty soapy water, and scrub away at some dishes. If you have ever had to do this right after you've gotten your nails done you'll know that it can be very damaging and harmful to your freshly painted or gel applied nails. If you do end up damaging even a single nail while in the process of doing the dishes, you can end up costing yourself upwards of $30 to have the nails repaired. In addition, we all know how easy it is to break a glass while we are washing the dishes. Sometimes dishes break very easily and when you wash a lot of dishes by hand, you are putting your hands at risk of being cut with glass in the event of a breakage. In order to avoid these issues you can just use your dishwasher and depend on it to do the job right every time. HOW CAN I MAINTAIN MY DISHWASHER? Clean your dishwasher regularly, and keep it free from dirt, mold, and food residue. One of the easiest ways to do this is to simply run your dishwasher through an empty cycle once a month. This is usually enough to keep mildew and dirt from building up within your dishwasher and causing issues that would require a repair. ​Another great tip is to make sure that you always unload your dishwasher racks completely after each cycle. If the racks are loaded with heavy dishes at all times then they can become bent and the wheels may become misaligned with the dishwasher's tracks.